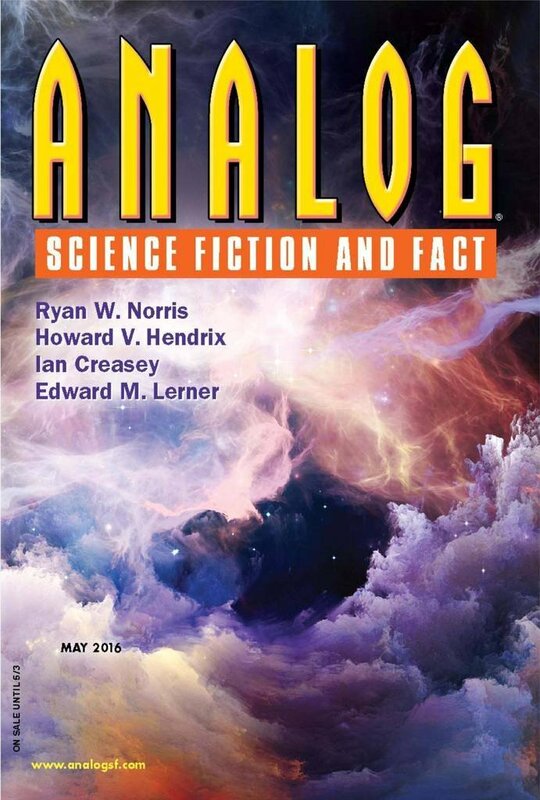 "Artifice of Eternity," by Lettie Prell, appeared in the May 2016 issue of Analog Science Fiction and Fact, published March 24, 2016, by Penny Publications. Pro: "So, Deon, do you think you're alive?" Con: The story doesn't really end. We see the trial, and the trick, but not the outcome. Up to that point, the story has been entirely about Carl and the trial, so cheating us out of the verdict ruins the story.